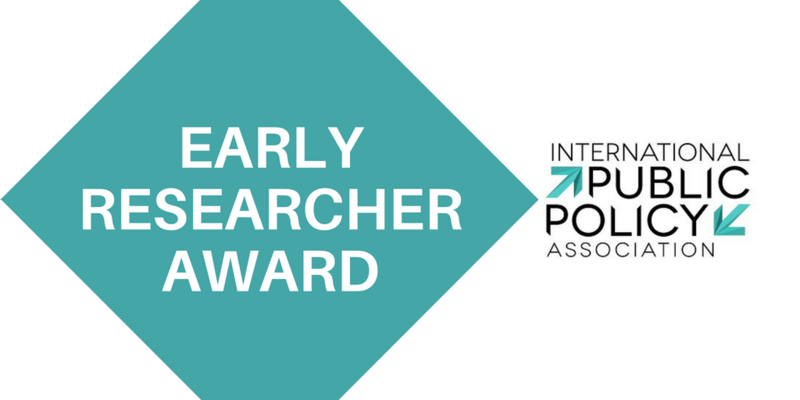 The IPPA Early Researcher Award is awarded biennially to a scholar who, within seven years of completing the PhD, has published a single-authored monograph that represents a major theoretical, methodological and/or empirical contribution to the field of Public Policy and/or Public Administration. A Jury established by IPPA and composed by Jale Tosun (University of Heidelberg), Jenifer Curtin (University of Auckland) and Iris Geva-May (Baruch College) will determine the Early Researcher Award winner. It will make its decision on the basis of nominations submitted. The 2019 Early Researcher Award will be announced in January 2019 to the winner and will be officially presented at ICPP4-Montreal 2019,(June 26-28, 2019) where a panel will be devoted to the winning book. 12 applications have been submitted.